I was quite excited when I got up, bagging my 50th, not bad when I started the year with 1. 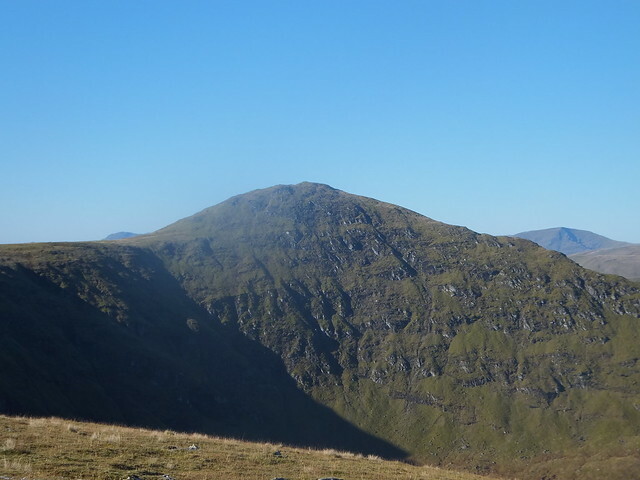 I packed the car up and headed once again up to Glen Lyon. The drive from Gourock to Crianlarich was gorgeous, barely a cloud in the sky, just east of Crianlarich, my heart sank, fog, all the way through Killin and up on to the Ben Lawers road. Spirits were raised when I got up to about 300M not a cloud in the sky, result. When I parked up, I was the only car there, booted up and set off, followed the road down towards the dam, jumped the gate and set off, took the path at the cairn and squelch, it was to remain like this till the fence posts about 300M higher up. Followed this path to above the boat house, then the path (if you could call it that) heads straight up. There had been a hard frost the night before and where it was sheltered had turned to ice, I tried best I could to stick to sides as I huffed and puffed my up eventually hitting the line of fence posts. I took the time here to have a breather and soak up some of the views before heading on my way. once past the initial wee steep bit, the walk round was an absolute joy, cracking views, nice icy wind just fantastic. 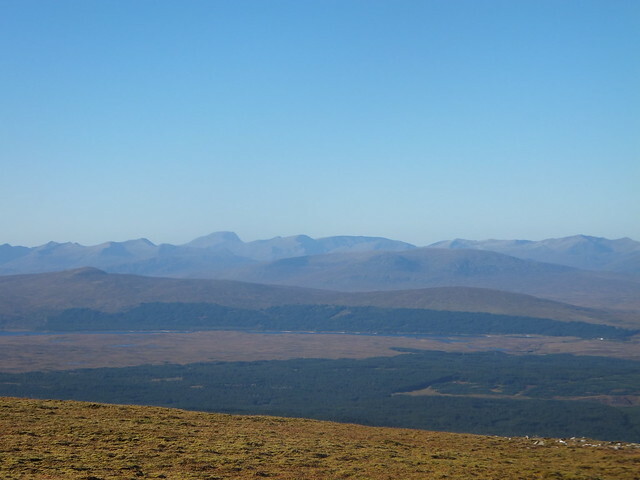 Bit more huffing and puffing required for the last wee pull up to the summit and wow, what a view but unknown to me, the best was yet to come. I stopped for a bite to eat and a quick ciggie before making my way back down, it was quick progress till I hit the "path" few places where I had to watch my footing but before too long I was back on the track heading back to the cars. I stopped for another bite a ciggie and to dump anything I didn't need. A glance at the clock meant it only took me 3 and a half hours to get up and down, not bad. Once I was sorted I headed off to tackle Meall Buidhe, now for whatever reason, I found this to be a bit of struggle initially, my legs were refusing to work properly, nevertheless I squelched my way up through the heather and never ending bog, just taking my time to let my body catch up up with my brain. Finally after many failed attempts at bog jumping I was at the first top. The views from here were outstanding Glencoe to my left, Cairngorms straight ahead and a nice wee ridge walk just to finish the day. Once at the summit cairn I must have spent a good 10-15 minutes just staring at what was in front of me, quite possibly the best view I've had from any summit this year, I wish I knew how to get a panoramic on my camera. Another quick ciggie and with a spring in my step I headed back down, going down was pretty much the same as coming up, never been so thankful (again) to hit dry land and with that it was back to the car for the drive back. Last edited by Backpacker on Sun Oct 13, 2013 11:11 am, edited 3 times in total. jupe1407 wrote: Well done mate. Aye, it's been a cracking summer. Well done Garry your fairly ticking them off now!! Great pictures and you had beauitul day. Is that it now for the year? Doghouse103 wrote: Well done Garry your fairly ticking them off now!! Great pictures and you had beauitul day. Is that it now for the year? I know exactly what you mean about the drive through the fog after an early start. We were early up for a walk up Schiehallion yesterday. From clear starry skies in Clacks to fog banks on the A9 all the way past Aberfeldy. 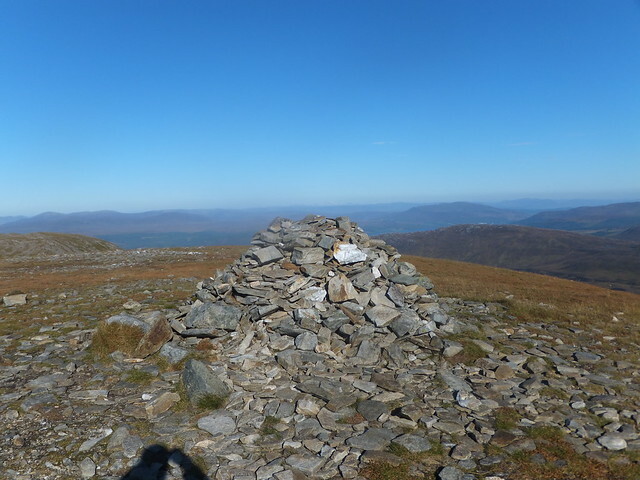 Reward was a perfect frosty / crisp autumnal morning, blue skies and the most amazing clear views from the summit. We sat for what felt like hours out of the wind on the top, listening to the stags roaring and soaking it up. Didn't want to leave but it soon got busier and home was calling. Congrats on your speedy 50. Think it might be a few more years for me! Location: Isle of Skye - finally made it! 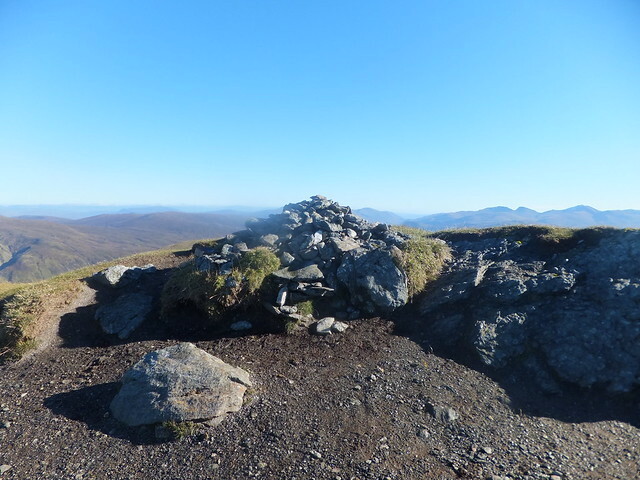 From my vantage point on Meall Buidhe, Schiehallion looked absolutely stunning. Quite possibly the best views I've had all year. 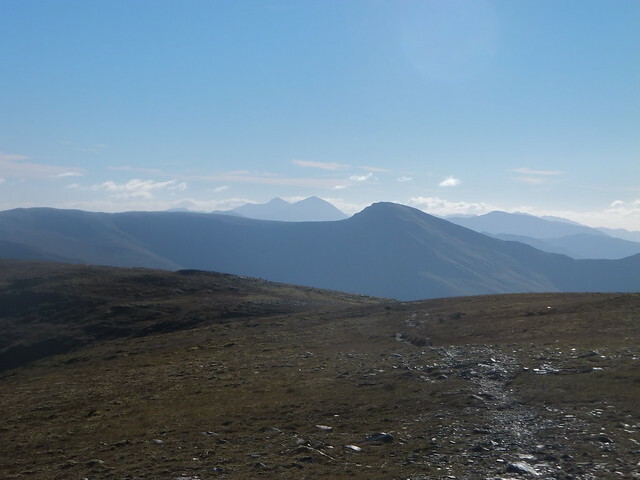 Fantastic weekend to be out on the hills! Impressive speed for the first 50, next target of the ton shouldn't take you long at that rate. I did these two on a boiling hot day in the summer with clegs feeding on me pretty much non stop - I wish I had done Stuchd an Lochan 1st as I found the climb up from the lochside hard going having already done Meall Buidhe.